Ka means "water" and Shimir means "to desiccate". Hence, Kashmir stands for "a land desiccated from water." Adu Valley is tingled with the duo of beautiful valley and snow clad peaks. Adu Valley is only 12 km far from Pahelgaon. One can hire a car for Rs. 400- Rs.500 to cover up this valley. One can stay for a day in Tourist Hut or in PWD Guest House. Apart from these, there are some private guest houses also. Adu valley with its 2960m height bears a captivating beauty. The small villages of the Gurjars have exceeded its beauty. Forming the backdrop of Adu Valley, the snow- capped peak guards the green valley. The spontaneous dazzling Leeder River flows in its own way in to Adu. You can visit Leederwatt, 11 kms away from Adu. It is the capital of the ancient Indian state of Kosala, which was located at present-day Saheth-Maheth by the river Rapti in Uttar Pradesh. Its location on important trade routes ensured its prosperity and political importance. The Buddha spent much of his later life in this city at the Jetavana Park donated by the rich merchant Anathapindika, and the Purvarama which was constructed by the patroness Visakha. During the time of Kushans, Buddhism gained from royal patronage. Srabasti was mentioned by travelers Fa-hien and Hiuen Tsang. Its ruins were uncovered by Sir Alexander Cunningham in 1863. Srabasti is 147 kms from Ajodhya. Bus is frequent in this route. Also, you can board on any train to Gonda from Gorakhshapur and come down in BalRampur and from there you can reach Srabasti by bus or train. Apart from these, you can hire private car from Lucknow, Ajodhya or Gorakhshapur @ Rs.1000/- to Rs.1200/- on daily basis. Tourist Lodges are there of UPSTDC in BalRampur and Srabasti (booking number #05252-232456, 05252-265302 and from Kolkata-033-22307855)”Bina”and”Burmese” guest houses and some private hotels are also available there. Bihar, mandir and stupas are the main attraction of Srabasti. Asoka visited Srabasti and erected two pillars on the eastern gate of Jetavana and built a stupa in the vicinity in memory of Lord Buddha which is no more today. Catch a sight of Ananda-Brikhsha, planted by Anand, a disciple of Lord Buddha. Jain Pilgrimage has also merged alongside with Buddhism. Kaushambi, in Uttar Pradesh, was visited by Buddha in the 6th and 9th years after his enlightenment. He delivered several sermons here, elevating it to a center of learning for Buddhists. Today one can see the ruins of an Ashokan Pillar, an old fort and the Ghositaram Monastery. The nearest railway station and the nearest road terminal is of Allahabad which is 57 kms away from Kaushambi. For a whole day, it takes Rs. 1500/- to cover up the city from Allahabad. One does not require staying back in Kaushambi but still, one can spend a night in Jain Dharamshala. The city is archaeologically very important due to its splendid and long history, right from the Mahabharata age. The old stupas, forts and monasteries are in their ruins in the city, on the bank of river Yamuna. The archeological excavations have led to the discovery of numerous sculptures, figurines, coins, punch-marked, cast coins, terra-cotta sculptures, etc. Other major attractions of Kaushambi include an Ashokan Pillar, an old fort and the Ghositaram Monastery. The monastery is believed to have been built by a wealthy merchant of the city. There are some old forts, stupas and sculptures that attract tourist attention, bearing the sign of an ancient civilized city. Kushinagar is situated in the north Indian state of Uttar Pradesh, 51 km off Gorakhpur. The place is famous for the Mahaparinirvana (death) of Lord Buddha, by the banks of Hiranyabati, at the age of 80. This sleepy town, with its serenity and unassuming beauty, absorbs visitors into a contemplative mood. It is this place that the Buddha had chosen to free him from the cycles of death and life and, therefore, it occupies a very special space in the heart of every Buddhist. Kushinagar does not have a railway station. The nearest railway station is at Gorakhpur (51 km), from Kushinagar, There are regular buses to Gorakhpur (51 km), Lumbini (173 km), Kapilavastu (148 km), Srabasti (254 km), and Sarnath (266 km), and Agra (680 km). UPSTDC has “Pathik Nibash” (#05564-273045). You can also stay in the Dharamshala of Chinese, Burmese and Birla’s. The Mahaparinirvana Temple, with its world famous reclining statue of Buddha, is an important site to visit. The 20-feet-long statue is seated on a brick platform. Surrounded by high lush green mountains, this quaint little town known as Bharmour, in its height of 2195 mtrs was the original capital of princely state of Chamba. This place still regales in its glorious history with its treasure of ancient temples and monuments. Tucked away amidst lush green surroundings, your travel to Bharmour will be no less than a magical trip. Yatra to Mani Mahesh starts from here only. It can be called as Switzerland of India. Road: Bharmour is 65-km away from Chamba along an attractive hill road that follows the river Irabati for much of its route. Chamba is 56-km drive from Dalhousie, which is well linked by road with public and private transport. Bharmour is situated 80-km away from Dharamshala. You can stay in PWD Guest House, Dormitory of Mountaineer Engineering and also in some private hotels. Bharmour is encompassed by a serene environment. The area’s most sacred lake is the Mani Mahesh Lake, 35 km from Bharmour town. It is believed that the water of the lake is so sacred that it can clean all sins. In the month of August/September thousands of pilgrims throng to this place to participate in the annual Mani Mahesh Yatra. On the road to Chamba the Chhatri temple with its exquisite bronze image of Sakti Devi is also worth visiting. For the adventurers, Bharmour also offers trekking and river rafting. Snow covers the place in February-march. 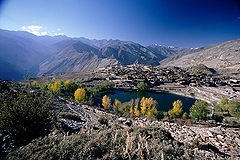 Nako is a small village in Kinnaur in the state of Himachal Pradesh. Perched at an altitude of 3663 meters, it is the highest village in the valley. The village is beautified by Lake Nako, formed out of the masses of ice and snow. Nako was a very important center of Buddhism in the region erstwhile. The lake is surrounded by willow and poplar trees. Nako can be reached by a 7 km road connecting Spiti to Kinnaur. During your visit to Nako, you can enjoy a comfortable stay at the staying hut for visitors. You can also stay in Rio-Purguil and in some other private hotels. The Main temple and the Upper temple are the two oldest temples inside the monastic complex in Nako. These two temples preserve much of their original ornamentation of clay sculptures, beautiful murals and ceiling panels. Near the lake there are four Buddhist temples. Near this place there is a foot like impression ascribed to the saint Padmasambhava .And some miles away there is a village called TASHIGANG around this village there are several cave where it is believe that Guru Padmasambhava meditated and gave discourse to followers. There is a waterfall nearby which has snow water falling like a river of milk. The place is covered by chilled weather allover. Tabo is famous for its exquisite murals and stucco sculptures which bear a striking resemblance with the paintings and sculpture in the Ajanta caves. This is why Tabo has acquired the tide of 'Himalayan Ajanta'. In the insurmountable heights of Spiti, lies the Buddhist gompa, monastery of Tabo, established in 996 A.D. Surrounded by various hills all over, Tabo lies in the height of 3050 mtrs. Simla and Pathankot are the nearest railheads to Tabo. One can reach Tabo by road from Simla via the Spiti Valley, Manali via the Rohtang Pass and Zanskar and Ladakh via the Shingo la and Baralacha Passes. You can stay in Tojon Guest House, Himalaya Ajanta, Millenium Monastery, and guest houses of PWD and IPH. The Spiti Valley was known as The Kingdom of Guge in the 11th century AD and comprised a part of Tibet. Tabo stands on barren flat ground and celebrated its 1000th anniversary in 1996. In July and August 1996, Dalai Lama performed the Kalachakra Initiation Ceremony at Tabo. Tabo has several single-storied and mud structures. The oldest monastery in the world, the Chor Khor Monastery was built in 996 AD. It is a belief over here that it was built overnight. It has beautiful murals and houses scriptures, tanghkas and clay Buddha statues built in Kashmiri style. Beside the Buddhist architecture, Tabo offers magnificent scenery of the snow covered mountain peaks. It is an ideal destination for those searching for a new and unexplored destination in the hills of Himachal Pradesh. The place is an upcoming hill station as well as historically important hamlet. Located on a mountain spur, an hour’s drive from Mandi brings you to this dark jewel like lake in 1360 mtrs height. The Lake has almost taken a square shape with a shoreline of 735 meters. Lake Rewalsar is surrounded by the dense vegetation and mountains. With water, woodland and high hills, it presents a variety of natural beauty. The spot is sacred for Hindus, Buddhists and Sikhs. It was from here that the great Indian teacher and `Tantric` Padmasambhava left for Tibet. Known to the Tibetans as Guru Rimpoche, the Precious Master, it was under Padmasambahava`s influence that Mahayana Buddhism spread over Tibet. There are islands of floating reed on Rewalsar Lake and the spirit of Padmasambhava is said to reside in them. It is here that the sage Lomas did penance in devotion to Lord Shiva, and the Sikh Guru Gobind Singh also resided here for one month. The closest railhead is in Kiratpur which 125 km away from the town of Mandi. Rewalsar is 24 km by road from Mandi. Taxis and buses are available at Mandi. There are many facilities for accommodation in and around Mandi. But to take the special advantage of staying on the lake, contact HPTDC (01905-240252 0r 033-22126361 from Kolkata).there are some hotels, rests houses and private hostels are around the lake. In the lap of Nature, silence and serenity dwells hand in hand. The colourful prayer flags are being hoisted in and around the hills The Gurudwara was built in 1930 by Raja Joginder Sen of Mandi. It commemorates Guru Gobind Singh's visit, when he sought to evolve a common strategy with the hill rulers against the Mughal emperor Aurangzeb At opposite ends of the lake there are two Tibetan monasteries. The Bhutanese also have one. At Rewalsar there are three Hindu temples. These are dedicated to the sage Lomas, to Lord Krishna and to Lord Shiva. Jim Corbett had made this place famous. The Shiva mandir is very famous here. The captivating beauty on one hand and the innumerable devotees and the environment of religion, on the other has made the place interesting. Mukteshwar is situated at an altitude of 2,286 m above the sea level in the Kumaon division of Uttaranchal. It is 42 km from Haldwani, 51 km from Nainital and 395 km from Delhi. Accommodations in Mukteshwar are not a problem. Call up Kumayun Bikash Mondal’s tourist bunglow (#05942-286263 or 033-22827295 from Kolkata).There is few very good hotels in the town, which provide with luxury and spiritual stay at Mukteshwar. Alternatively, one can stay at Nainital and make trip to Mukteshwar. The century old Lord Shiva temple with a small sized white marbled idol of Shiva Lingam has been a centre of high devotion amongst the locals. Chauthi Jali, near the temple, is another place of interest. The structure has rocks cut out from the hill, facing at a bizarre angle. It is believed if a married lady touches the stones, she will be very soon blessed with a child. Tourists can see Eagles and other Feathered Scavengers is a popular attraction for the travelers. Set on a height of 2300 mtrs, the temple represents a pristine sense of devotion. Lush green surroundings, mesmerizing hilltop, beautiful temple and the thick vegetation of fruit orchards and coniferous forests gives a heavenly experience to the traveler. Khuri Village of Rajasthan lays approximately 40 Kms South West of Jaisalmer. It is surrounded by Desert Hills and is becoming a popular destination to those who are in search of traditional village life and wish to spend a night in thatched Huts. At Khuri Village, you can experience the romance of desert in the most fascinating way and also the hospitality that is an integral part of Rajasthan. Catching the unique beauty of the sunset from the “Ship of the desert” is memorable for the travelers. Explore the exotic sand dunes on a camel back to witness the spectacular Sunset behind the Golden desert. Khuri Village of Rajasthan lays approximately 40 Kms South West of Jaisalmer. One can hire a car @Rs. 800-Rs. 1000/- for Khuri from Jaisalmer. Swiss tents and ethnic Rajasthan style thatched available at Sam and Khuri. These are equipped all basic amenities. Camel safari, village safari, desert wildlife safari, Rajasthan music and dance shows, camp fire, travel assistance, shopping assistance are the major attractions of Khuri.The village has mesmerizing charm that makes it stand out from the other tourist destinations in Rajasthan. The village also has narrow streets that are lined with shops selling local handcrafted items and food. So just get ready for a journey that will help you explore the enticing and enriching culture of rural Rajasthan. The township of Ranakpur is situated approximately 96 km from Udaipur. Enclosed within a wall, this complex houses exquisitely carved Jain temples in Amber stone. Built during the rule of Rana Kumbha, these Jain temples date back to the 15th century. Renowned for some marvelously carved Jain temples in amber stone, Ranakpur is amongst the five holiest places of the Jain community and exceptional in beauty. From Udaipur it takes 5 hours by bus. One can stay in hotel Shilpi of RTDTC. Also some Dharamshala of mandir Committee are also available. The world renowned state of the art temple was built in 15th century and is just 90 kms away from Udaipur. The temple is located in the gorgeous Aravali ranges. The complex also contains several smaller temples, also fantastically carved. Visiting this sanctuary is the best way to witness the beauty of the great Aravali ranges. Near to Ranakpur temples in Rajasthan is another famous temple, the Sun Temple. 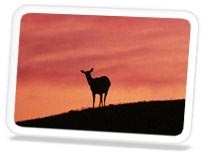 There you can encounter with panthers, jackals, rare birds, wild-pigs, deer etc. The park is situated on the north bank of the river Brahmaputra, covering an area of 72 sq. km. Orang is a mini Kaziranga. The Park is famous for its natural scenic beauty that snatches the attention of the visitors / tourists to it. The nearest railhead is Saloni (41km) & Rangapara. But it’s better to hire a cab@ Rs. 1200/- Rs.1400/-. The park has only a small rest house. There is better accommodation at Tezpur (32km) from where one can visit this park. Assam Orang National Park offers two rest houses and one dormitory facility for visitors. The park area enjoys typical subtropical monsoon climate. The southern and eastern boundaries of the park comprise channels, and islands of the Brahmaputra. The vegetation of the park is very rich. Apart from the greater Indian one-horned rhinoceros, which is the dominant species of the national park, the other key species sharing the habitat, are the Royal Bengal Tiger, Asiatic elephant, hog deer, wild boar. Besides, there are other small mammals like civets, leopards, hare, and porcupines. There are more than 50 species of fish. Orang National Park in Assam is the most important habitat of the Bengal florican. Among reptiles, turtles like Lissemys punctata, Kachuga tecta etc and among snakes pythons and cobras are known to frequent these in this area. It is possible to tour the park interiors on the back of the Elephants. Migratory birds gather here in the winter. Rs. 20/- is the entry fee for the jungle. The total area of Majuli has been steadily decreasing due to strong erosion of the river Brahmaputra. Jorhat is connected by road to Guwahati. ASTC and private-run buses leave early in the morning and in the evening. From Jorhat it is only 14 km to Neamati Ghat. You can take a bus or an auto. Plane, train, car or buses, to actually get to Majuli you have to take a boat ride. There are regular government ferry services to Majuli every morning and afternoon from Neamati Ghat. Motorized private boats also carry passengers across. There are a few small hotels in Garmur and Kamala Bari. Advanced booking is not needed as the place is yet to become crowded with tourists. Through Assam Tourism, you can arrange your stay at their Circuit House. The satras run guesthouses with friendly housekeepers and strictly vegetarian food. Plenty of migratory birds of great varieties are also seen here. This was the first "satra" in Majuli. Majuli is a natural & cultural heritage site. Majuli unfolds a variety of interesting traditional handicrafts, pottery, ethnic culture and dance forms, water sports, village life of a real tribal type and lots more. A land that has a rich past and flourishes in legends and myths, Kannur located in Kerala is a small and a beautiful city. Far away from the bustling city life, nestled away in the northern most corner of Kerala, is this enchanting city of Kerala. This port city bears the evidences of many old ruined Portuguese forts by the sea side. Hotel Yatri Nibash (#0497-2700717), Hotel Aram (# 2780220) of Kerala Tourism are good to stay there. STD code is 0497. The Lakshadweep Sea washes the golden sands of shores of Kannur in the west. The scenery is absolutely spectacular. The turquoise blue water, coconut fringed shoreline and lush green landscape, all make this beautiful city of Kannur the most visited place in Kerala. The place has a rich historical past and one can see the beautiful merging of the past with the present. Vasco d agama came to Kannur in the quest of exploration of the country in the 15th century. Portuguese made many forts here. Gradually Dutch and British came. Kolathiri Kings had Kannur as their capital. It is 130 km to the west of Nagpur and makes one of the popular excursions from the city. The sanctuary serves as the perfect place for all those who love to explore nature and its various facets. Adorned with a picturesque landscape and abundant vegetation, Nagzira Wildlife Sanctuary has 34 species of mammals, 166 species of birds, 36 species of reptiles and four species of amphibians. The nearest bus stand is Sakoli, 22 km away. Close by rail stations are Nagpur (122 km), Gondia (45 km) and Bhandara (75 km). It’s a tapestry of hills, jungle and water. The forests covering the hills comprise of the southern tropical dry deciduous trees. The wildlife seen at the wildlife sanctuary includes 34 species of mammals, 36 species of reptiles and 4 species of amphibians.